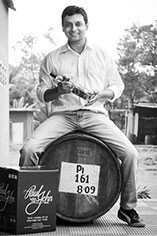 John Distilleries Ltd. (JDL), an Indian spirits distillery based in Goa, was established in 1992 by the master creators Paul John Single Malts. JDL produce and sell a variety of products, Original Choice Whisky being the primary brand which sells over 10 million cases a year. The company also produces brandy, such as Mônt Castlé, Roulette, and wine, such as Big Banyan, Goana’s. Paul P. John wanted to create a whiskey that used all his knowledge and passion, and the skill of his Master Distiller, so he started on a journey to create ‘The Great Indian Single Malt’. Traditional copper pot stills were installed that had a production capacity of 3,000 litres a day. The warm Goa climate allowed the whiskey to mature quickly in the American white oak casks, increasing production time further. 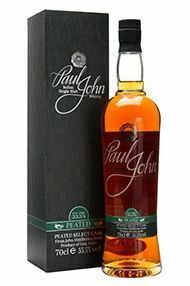 In 2009, Michael John became the Master Distiller at John Distilleries, and with some years’ experience behind him, he continued to make the exceptional Paul John Single Malt. From the John Distilleries in Goa, India, this single malt Whisky uses peat imported from Scotland and is matured in ex-Bourbon barrels. The nose gives off heady smells of peat barley sugar and walnuts. Reflective of it country of origin there are tropical fruits and spice before finishing with orange peel flavours.